From 1892 to 1946, India’s premier cricket tournament was fought on the pitch by a pantheon of adversaries: the British, the Hindoos, the Parsees of the Zoroastrian Cricket Club, the Muslims of the Mohammedan Gymkhana, and, as of 1937, a team called “The Rest,” made up of Buddhists, Jews, and Indian Christians. (The Rest never won a match.) The Bombay Pentangular, as it was finally known, was abolished in 1946, condemned for its forthright communalism. And yet, like most things in India, the Pentangular has undergone an unlikely reincarnation. This year, India’s regional film industries — the lissome fivesome of Bollywood, Mollywood, Tollywood, Kollywood, and Sandalwood — will slug it out in the inaugural season of the Celebrity Cricket League. In this latest phase of the ongoing metastasis of a stodgy sixteenth-century British gentlemen’s game into mega-Asian sportainment, the league hopes to cater to (and cash in on) the hundreds of millions of Indians for whom cricket and cinema are two faces of the same god. The Victorians thought that the edifice of civilization could be built on the values of cricket alone. The edifice of cricket, in turn, is built on the Test match. Thirty-three hours of play, stretched out over five days, Test cricket is an exercise in humility. Excellence at cricket requires self-denying stoicism, sportsmanship, and a continual refinement of one’s relationship to the Laws of Cricket — an actual document, safeguarded by the Marylebone Cricket Club at Lord’s Ground in London. A cross between baseball and a garden party, the luxurious pace of the cricket match makes the character of the player nearly as important as his athleticism, requiring precise psychological evaluations of opponents’ strengths and weaknesses on the field. Players are obliged to halt the match for lunch or even tea with enemy cricketers and the umpire, no matter how nail-bitingly tense the game. It is a sanctified lull, not unlike the evening recess in the epic battles chronicled in the Mahabharata — a recurring trope of Bollywood films — during which mortal enemies chat pleasantly, discoursing on this and that, until it’s time to rest for the morning’s war. Even before it arrived in India, cricket was in many ways a Brahmin game: its insistence on order, its immaculate uniforms, the channeling of aggression into ritual. Soon enough, cricket stood for life itself, and for the expectation that justice, if not glory, might be obtained by following the rules. (“It’s not cricket” became a kind of general-purpose complaint against unfairness.) Cricket is an Indian game accidentally discovered by the English, the essayist Ashis Nandy once wrote. As it spread across the subcontinent in the nineteenth century, the game was considered part of the Raj’s civilizing mission, spreading English values with every wicket. But at the high noon of the Empire, British rule was judged according to the ethos of the Laws of Cricket, and found wanting. In recent years, cricket has met a thoroughly Indian fate: recast as a kind of live-action Bollywood movie, full of crime and money, sacrifice and betrayal, beautiful women, and song-and-dance routines. In 2008, the Indian Premiere League (IPL) made its billion-dollar debut. The IPL plays Twenty20 cricket, based on a new set of rules developed in the UK in 2003 and quickly embraced by Indians in all its brutish glory. Twenty20 has been called “cricket on crack”: in a T20 match, each side has a single inning at bat, and bats for a maximum of twenty overs. (In a Test match, each side bats two innings, and a player bats until he is out; a good team on a good day might bat until sundown.) There is no time for psychology in a T20 match — every swing is precious, and by necessity, batsmen are solely concerned with scoring runs, and fast. The whole thing is over in three hours (coincidentally, the length of a typical Bollywood film). There are even cheerleaders, jiggling their praises as the runs pile up. For the IPL debut, the Bangalore Royal Challengers reverse-outsourced eleven Washington Redskins cheerleaders to sing pompom’d praise songs at M. Chinnaswamy Stadium and help train the first generation of, dare we say, Bangalore Brownskins. The IPL was an immediate hit, and last year, 134 million televisions tuned in to watch the 2010 finals. The Bollywood connection isn’t just an analogy. Many cricket franchises are owned by film stars, including Preity Zinta, the actress and owner of the Kings XI Punjab, and Shilpa Shetty, who has a stake in the Rajasthan Royals. There are actor-cricketers like Salman Khan, “icon player” on the Mumbai Heroes, the Celebrity League club owned by his brother Sohail. There are cricketers who date actresses, like M. S. Dhoni. There are cricketers who’ve gone on to become actors, like Kapil Dev, whose films include the 2005 cricketsroman Iqbal. The audience is part of the merry-go-round, too. The IPL hosts an annual Miss IPL Bollywood beauty pageant, where contestants are fans who have been selected from the crowds at the cricket stadium. The grand prize: a starring role in a Hindi film with Shah Rukh Khan, the most famous movie star on the planet. You might think that the market would be flooded with films about cricket, yet most cricket films wash out at the box office. The exception is Lagaan: Once Upon a Time in India, Ashutosh Gowariker’s 2001 epic, in which a ramshackle team of Kutch villagers who’ve never played the game are pitted against their colonial overlords in a cricket match that will either relieve the village of its oppressive tax (lagaan) debt… or, you know, not. Lagaan has a happy Bollywood ending: the villagers win; a sudden rainstorm ends a long drought; Captain Russell, the arrogant colonial governor, is humbled, and as punishment, gets transferred to the worst place imaginable: central Africa. Part of Lagaan’s appeal lies in the unruly maneuvers invented by the newly minted cricketers from the village, especially the gnarly fortune-teller Guran, who astonishes the British players (and the Indian audience) with his bizarre, wide-batting stances and uncouth swings. In one startling play, he breaks the momentum of a bowl with a light swing and then swings again, whacking the ball past the boundary. Lagaan obsessives are convinced that the iconic film has actually changed the way the game is played on the pitch. In 2010, the Australian “kangaroo cricketer” Doug Bollinger thrilled audiences with an epic two-part catch during his IPL debut with the Chennai Super Kings. Hustling to the edge of the boundary, Bollinger caught the ball and then started to fall back over the line, at which point he tossed the ball up, found his balance, and leaped back inside the line to complete the catch. It earned him an award for the best catch of the match, but some spectators were quick to point out that it was identical to a play from Lagaan. If Test cricket’s timelessness once served as a kind of relief from modernity, Twenty20 has become a phantasmagoric affirmation of the culture of consumerism. 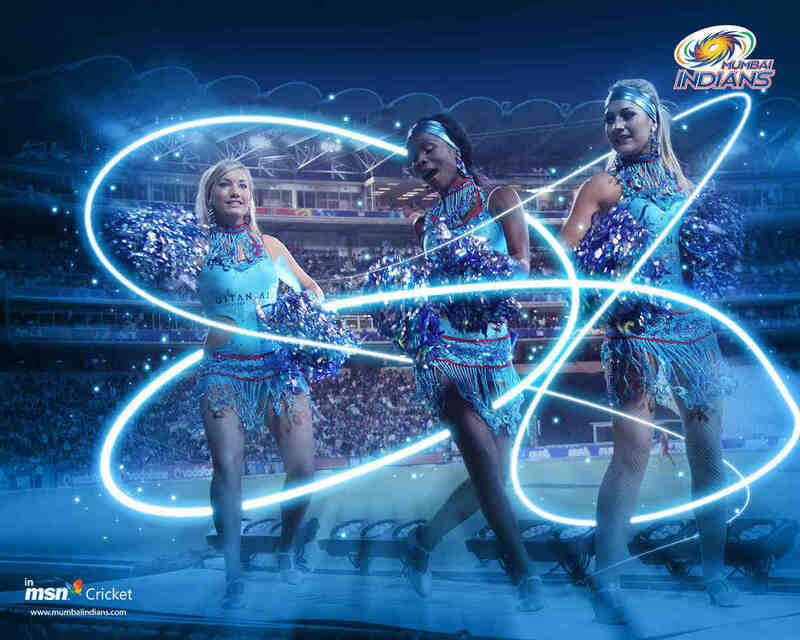 Over the course of a single IPL match, as many as ninety brands are advertised, their logos pasted onto everything from the boundary to the wicket to the cheerleaders. Sportsmanship, the bleeding heart of cricket, is just another form of public relations: players are chosen for their charisma and marketability rather than their athletic skill. It’s a huge business, with players trading for as much as $4 million in the annual auctions, which, naturally, are broadcast live on TV. As Lakhia says, “India is booming right now. The rates paid to cricketers and actors are at par with the West.” The boom has changed the nature of the game irrevocably, and not just on the subcontinent. In 2005, the sport’s official governing body, the International Cricket Council, relocated from its ancestral home in London to Dubai, nearer to the seat of cricket’s new empire. This is true, as far as it goes. It is equally true of India itself, in the nearly two decades since liberalization. But if many of cricket’s new kingpins are less than savory businessmen (and women), it’s hard to hate the man who has come to represent the new India to itself, and who has gladly hitched his stardom to the IPL (and vice versa): Shah Rukh Khan, the god of heartthrob. “King Khan,” as he is known, has acted in over eighty films, counts 3.5 billion fans in his official fan club, and has won every film award save Best Actress. Of Peshawari descent, the great Muslim flirt wisecracks, dances contagiously, gets the girl in the end, and makes the audience weep, whether he’s playing a high school slacker, a women’s field hockey coach, or the Emperor Ashoka. 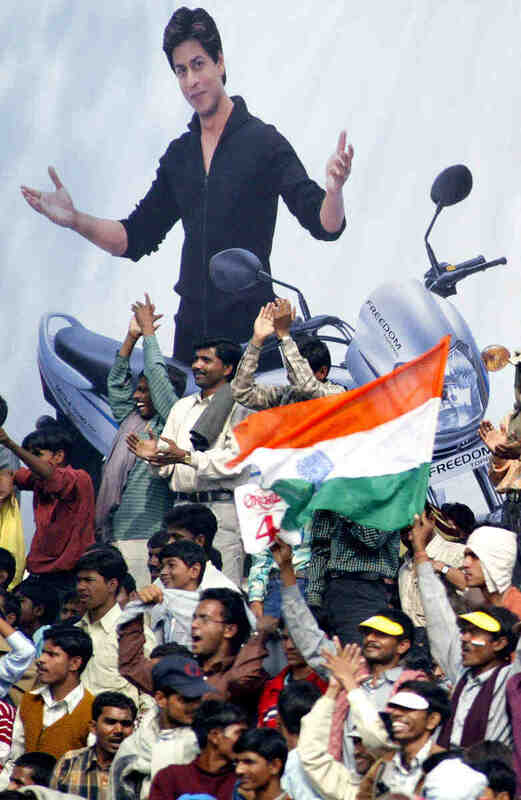 As a global brand ambassador, SRK has endorsed everything from Hyundai to Sunfeast Dream Cream Biscuits, and claims to hold the world record for “hero who has sold the most products.” Yet Khan often acts for free in films made by younger directors, as well as in artistically ambitious (and commercially weak) films. He has his sponsors and his Sodom — tabloids recently berated him for refusing to comment on an ambiguous photo of him kissing another man — but SRK firmly embraces family values. The son of an Indian freedom fighter, Khan married a Hindu — and has stayed married — siring two children who’ve been raised with both Hindu and Muslim faiths. “Flannelled fools at the wicket,” thundered Rudyard Kipling in a 1902 poem condemning a British Empire made languid by sports and entertainment. He imagines a world in which men prepared for war, “As it were almost cricket — as it were even your play / Weighed and pondered and worshipped, and practiced day and day.” After the sun set on the Raj, the dark lord descended in the form of a Bollywood avatar, and the age of the Cricket Yuga is upon us. (It has the face of Christy Turlington.) In this apocryphal stage of the innings, darkness bounces off the Royal Challenger’s White Mischief Gals, and time itself moves in three-hour bursts. Yet in cricket’s sanctified lulls, integrity and sportsmanship are still revered. When Shah Rukh Khan announced that he would dance naked to his song “Dard-e-disco” in the event his Knight Riders won the 2010 IPL championship, he was accused of giving his team an unfair advantage. It’s a cricket world, and all of us, gods and men, want to see Shah Rukh naked in it.